I never aimed to be a stylist or influence. I didn’t even aim to have an identity. I just play music the way I play it, putting it together my own way and trying to serve a certain kind of quality or beauty. 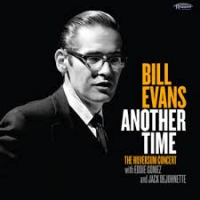 Greeting me at the door of his apartment in Fort Lee, New Jersey, Bill Evans runs his fingers through his slightly disheveled hair and holds back a yawn. "I had a long night last night," he explains, then apologizes for having slept through his alarm. 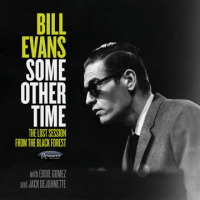 "This will give you a chance to witness the making of the famous Bill Evans omeletfamous because it's the only thing I can make. I don't like them the way they're served in any restaurant. They're too fat and fluffy. The trick is I only use one egg, and then I put some grated cheese around the edges so that there's a nice, crispy crust." We sit down in Evans' dining area. I've got my notepad and tape recorder, and he has his omelet and fresh-squeezed orange juice. 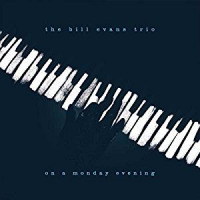 It's funny to be with Evans at the breakfast tablea peculiarly ordinary situation to be in with one of the most important contemporary jazz musicians around, possibly the most accomplished and influential practitioner of the improvising trio format. But then it's a somewhat fitting setting, since Evans is an extremely relaxed, humble and unassuming man, a straightforward person whose approach to life and music is direct. "I don't try to be hard to understand," he says. "I really don't want to be obscure. But I do want to try to say something that goes just a bit deeper than the everyday." 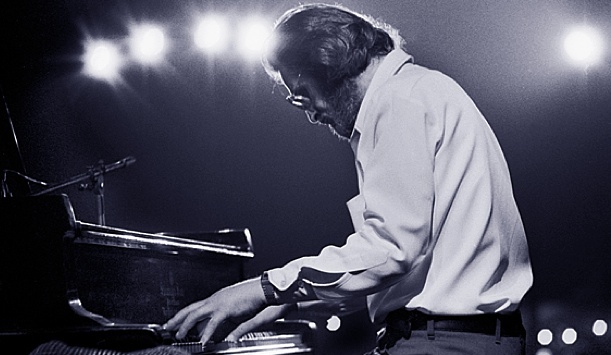 In the realm of jazz, few if any pianists nave created a more truly personal harmonic language and approach to music. Evans' playing has been characterized as lyrical, sensitive, warm, and beautifulyet swinging. His reaction to the praise is very modest. "I feel extremely flattered," he says. "I never aimed to be a stylist or influence. I didn't even aim to have an identity. I just play music the way I play it, putting it together my own way and trying to serve a certain kind of quality or beauty. I guess the end result of it all is that somehow my personality comes through." Born in Plainfield, N.J., in 1929, Evans has long been regarded as an important figure in jazz, even before his celebrated short stay with Miles Davis in 1958a stint that included a contribution to the classic Davis album, Kind Of Blue (Columbia, 1959). 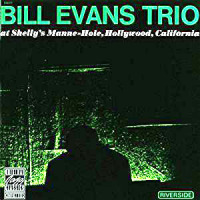 Shortly after leaving Davis, Evans made several trio recordings featuring drummer Paul Motian and the outstanding bassist Scott LaFaro. 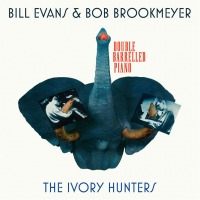 These recordings were greeted with great critical acclaim at the time and are still considered among the pianist's best work. Evans has recorded dozens of albums under his own name and won many awards for his playingincluding five Grammys. Evans has ventured out of the jazz field with successful results, but he has never compromised himself or lost sight of his jazz roots. His 1975 duet album with Tony Bennett was called by one critic the best pop album of the year. 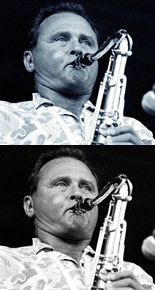 As Joseph McLellan of the Washington Post put it, "Evans is one of the great virtuosos of jazz today, and in the contemporary style his real virtuosity is not in his hands (that is taken for granted) but in the mind that works constantly to make each performance a new creation, each rehandling of a motif a new vision." Evans seems particularly satisfied with his latest album, Affinity (Warner Bros., 1978), which features harmonica player Toots Thielemans. "I think it's really a nice record," he notes. "If you heard it without knowing, you'd think it was Toots' album. I wanted to present him as the lead voice. He has such great qualities of beauty and communication. I don't think most people are aware of the dimension of his work. He's really a complete musician; he can play up-tempos, beautiful ballads; he can improvise and really wail. "We did a couple of tunes with just Toots and myself on Fender Rhodes, an instrument which mixes well with the harmonica. We also did a couple tracks adding bass, a couple with bass and drums, and three tunes with bass, drums, and sax. The material goes from very straight, pretty ballads to more or less modern jazz originals. So we've got a variety of contexts and sounds and material in there."